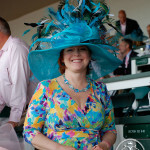 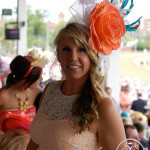 Winner of the 2013 Longines Kentucky Oaks Fashion Contest, Suzy Buckley Woodward. 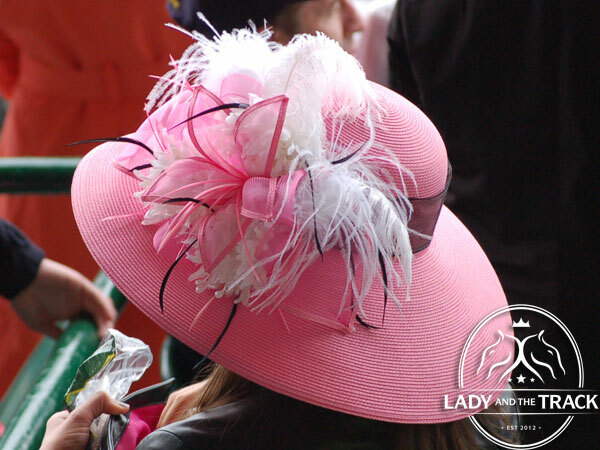 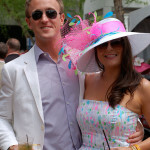 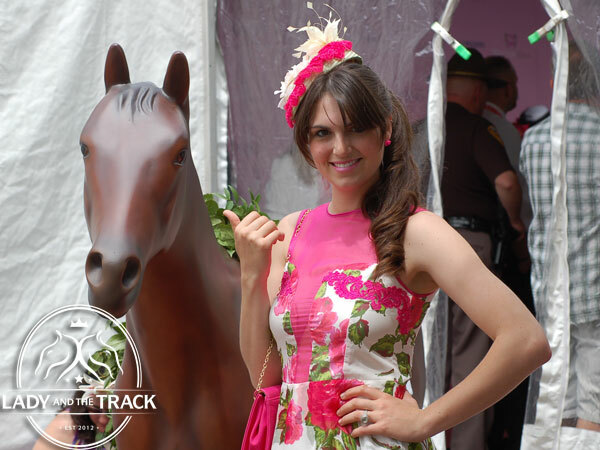 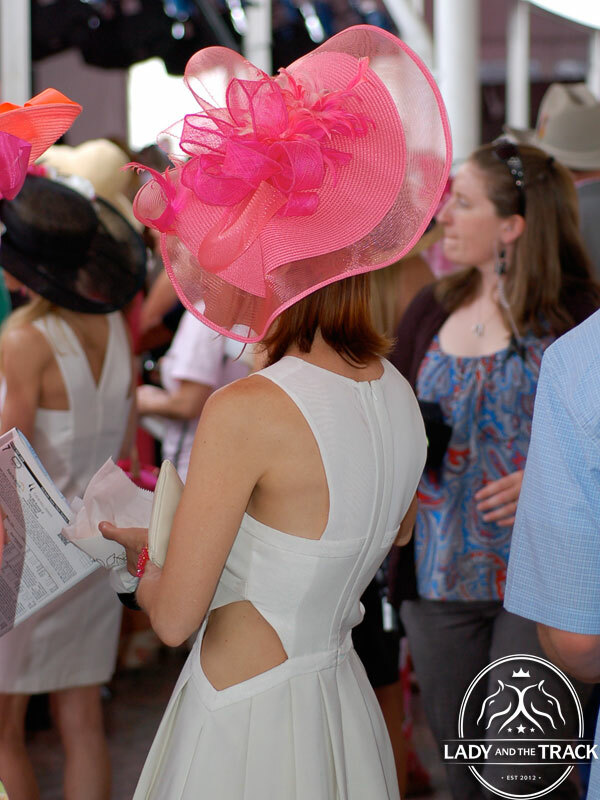 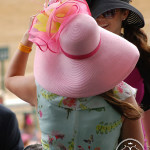 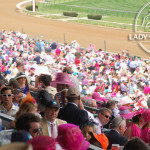 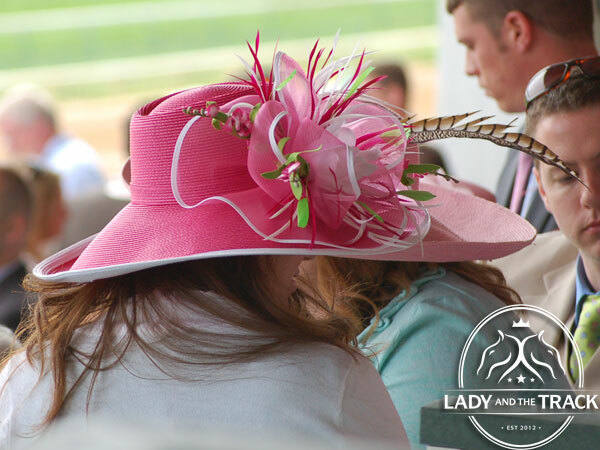 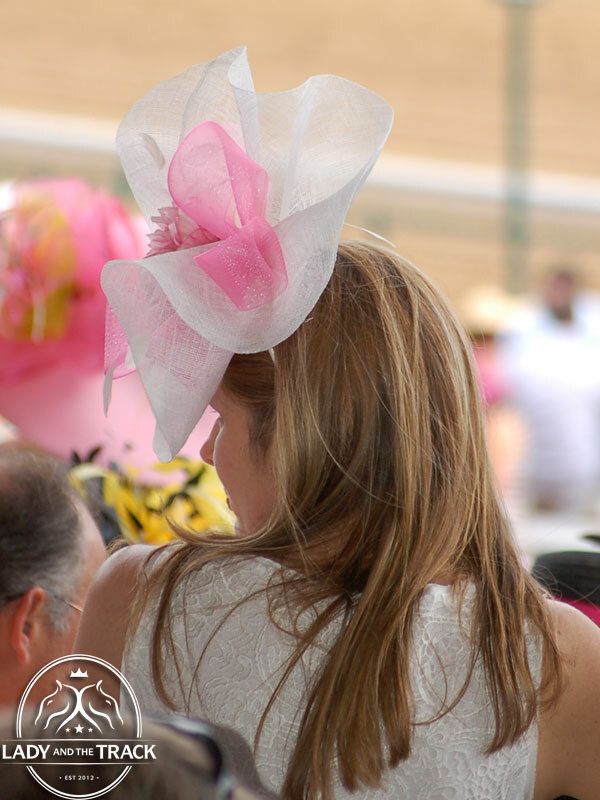 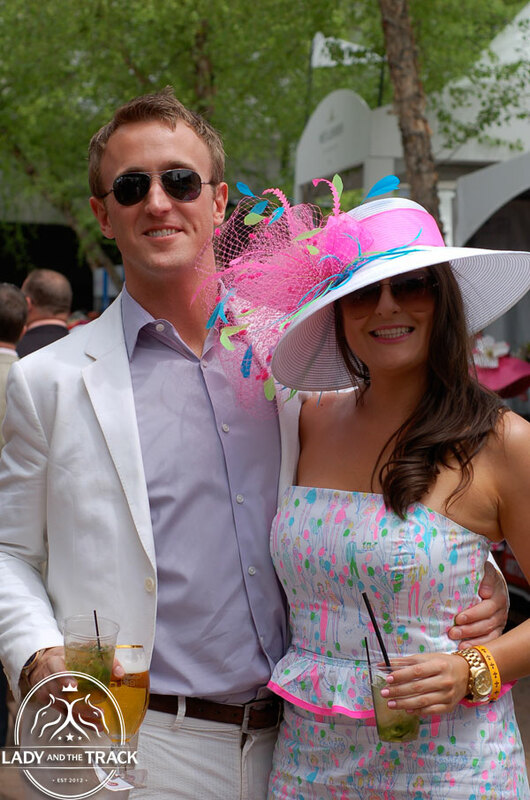 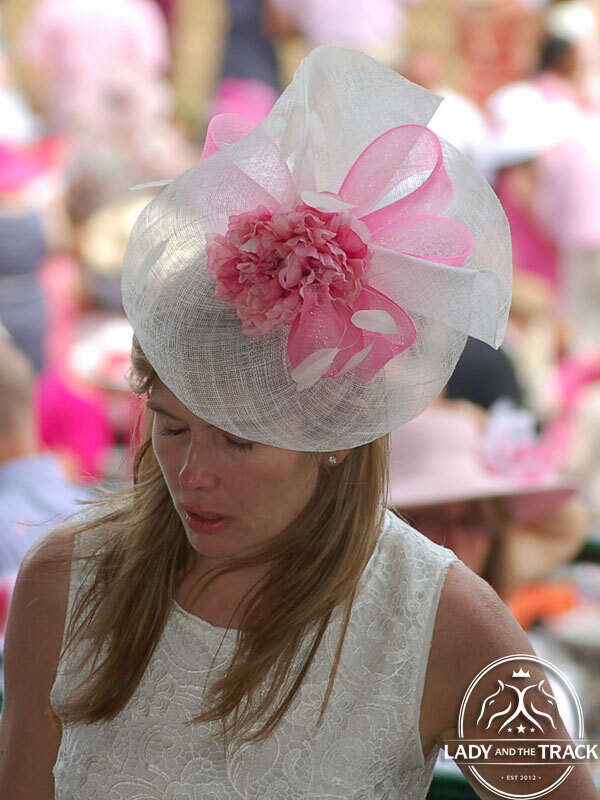 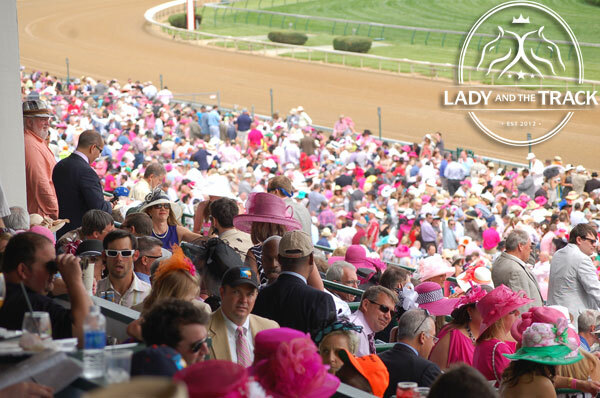 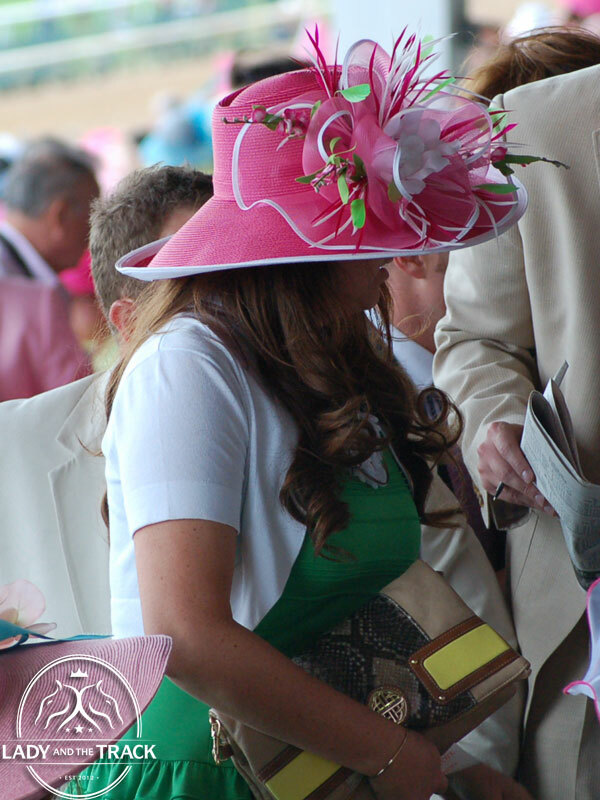 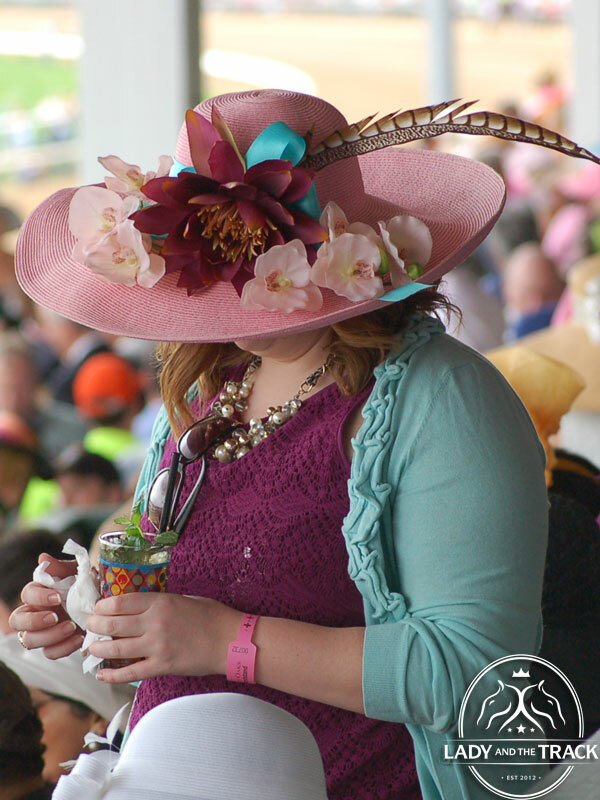 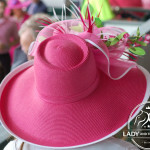 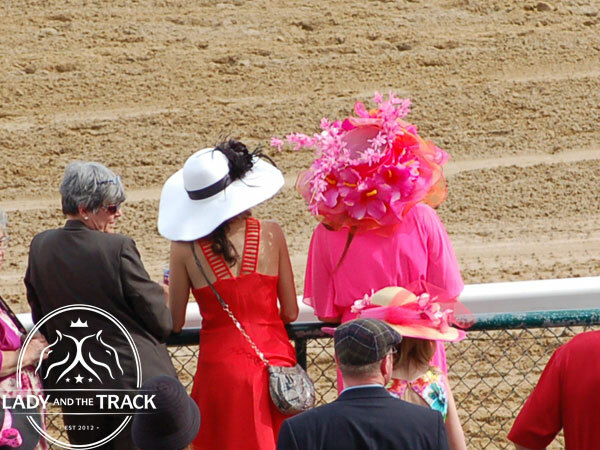 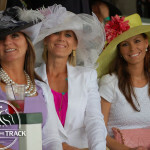 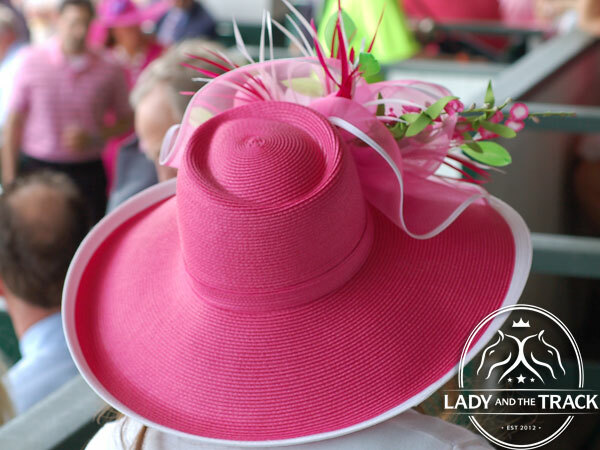 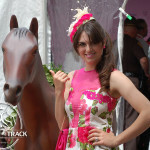 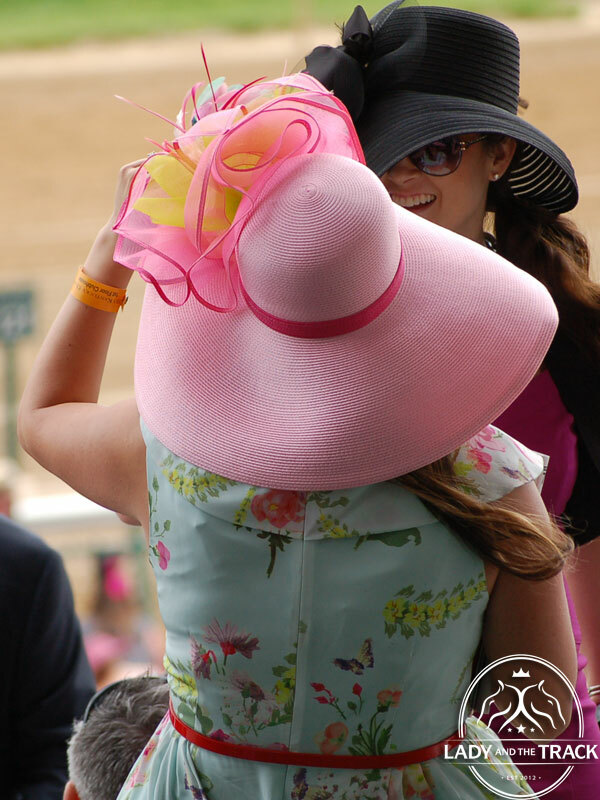 The 2013 Kentucky Oaks was full of beautiful women dressed in pink and springtime colors! 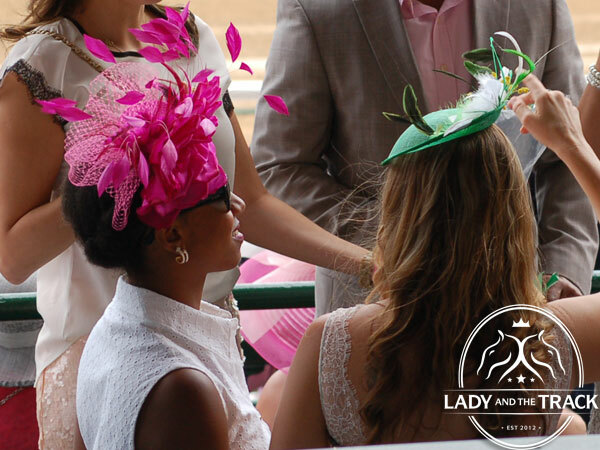 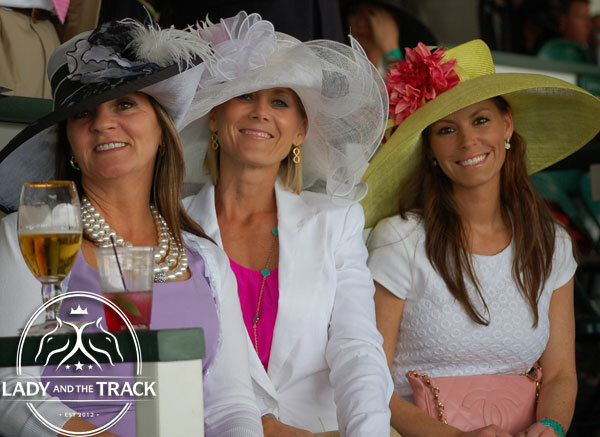 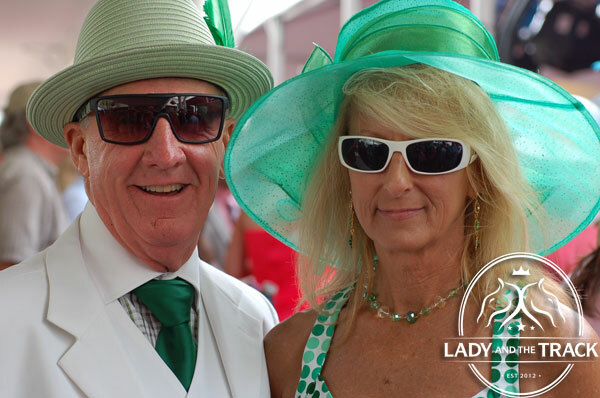 The lucky ladies of the Oaks looked flawless as they placed bets on their favorite horses while sipping Oaks Lilies and Mint Juleps. 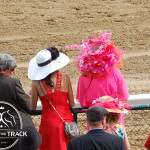 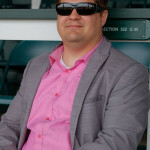 The men wore pink and purple proudly as they escorted women around the track. 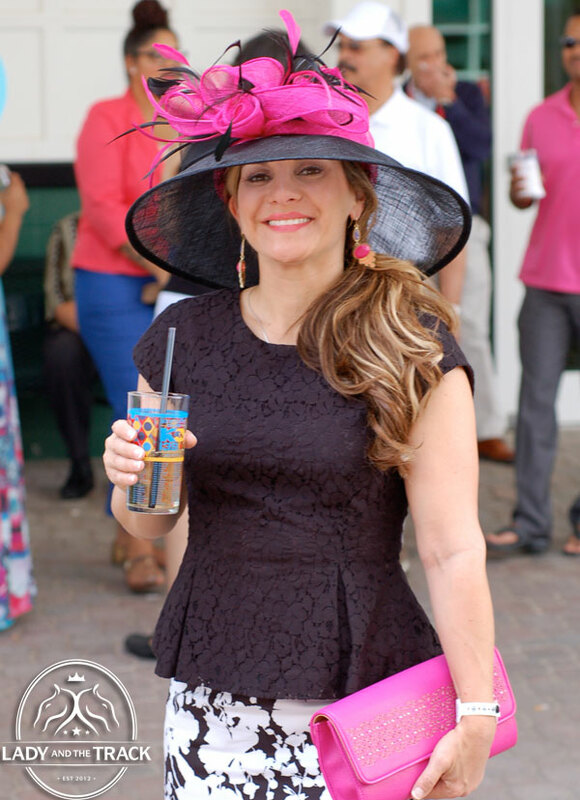 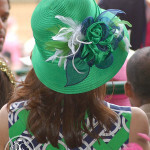 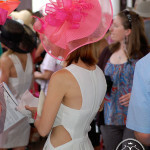 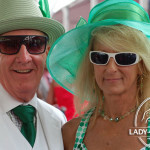 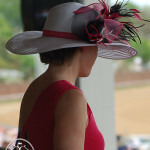 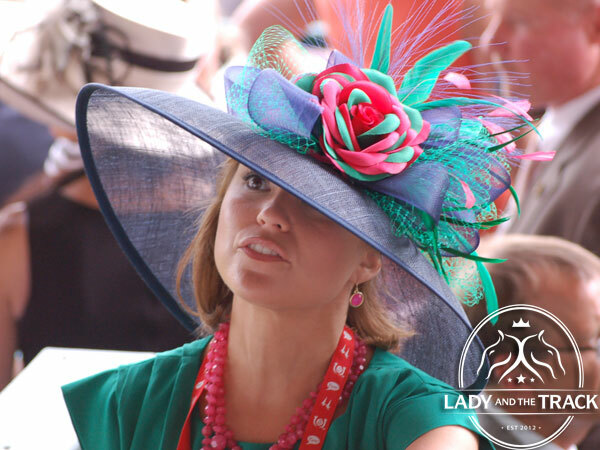 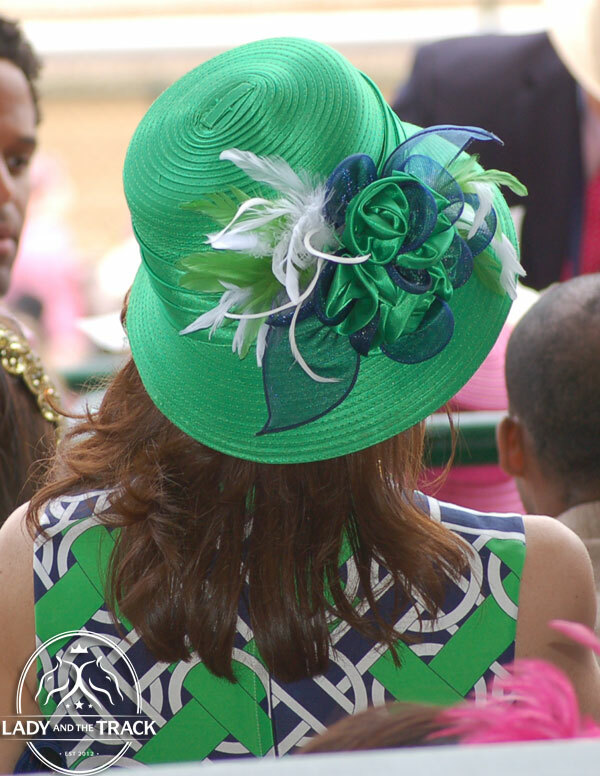 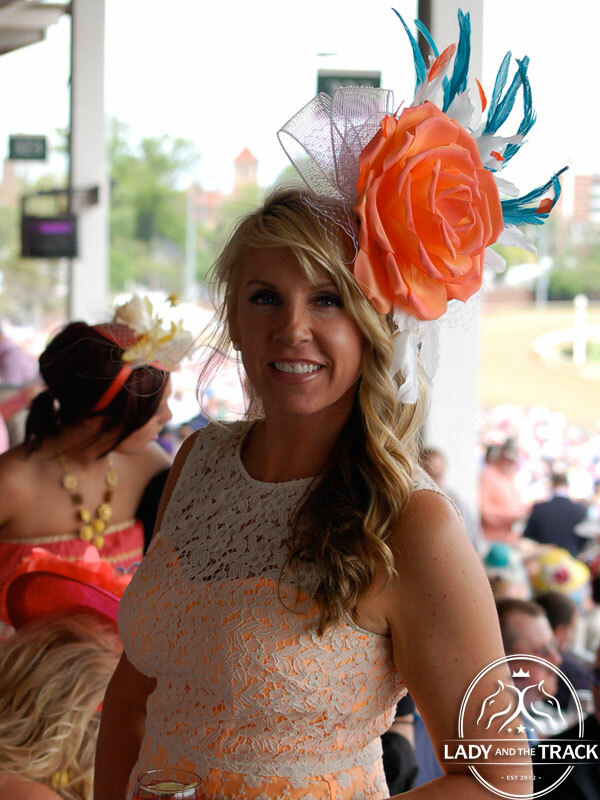 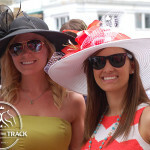 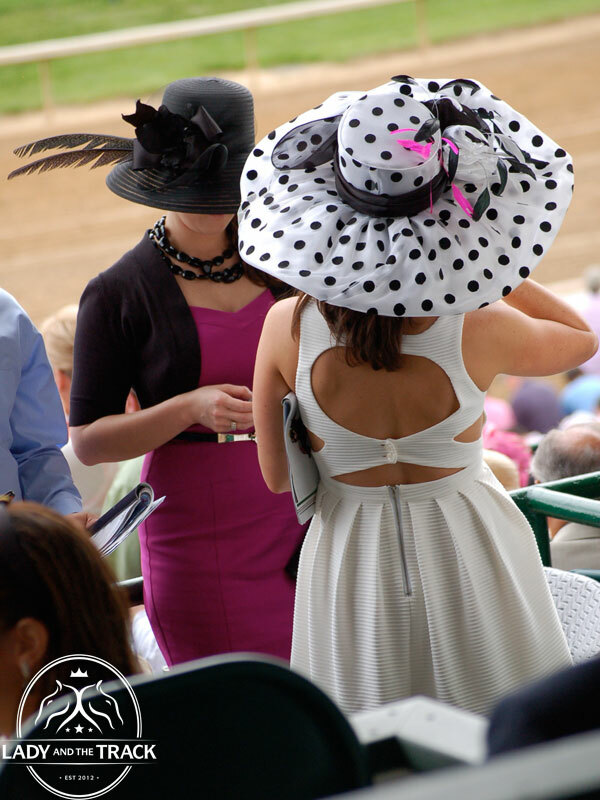 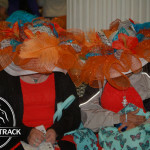 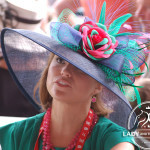 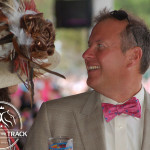 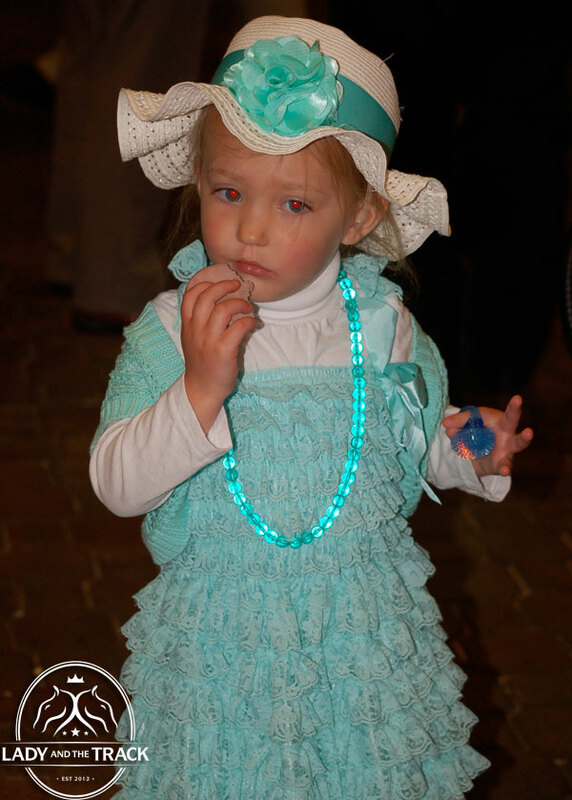 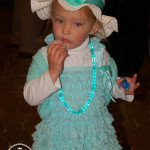 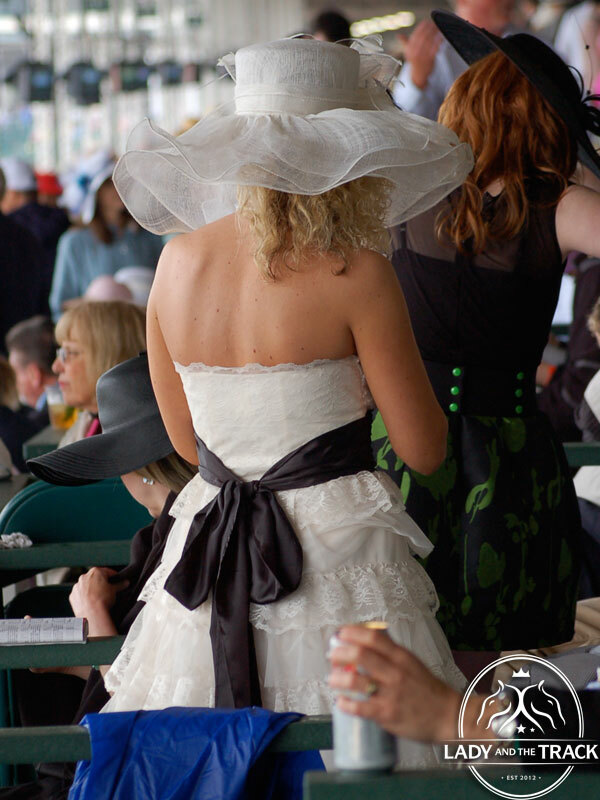 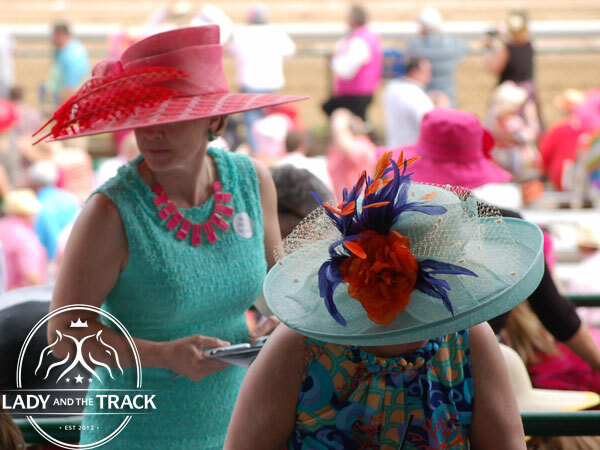 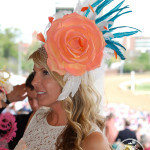 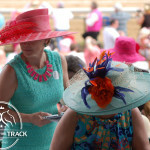 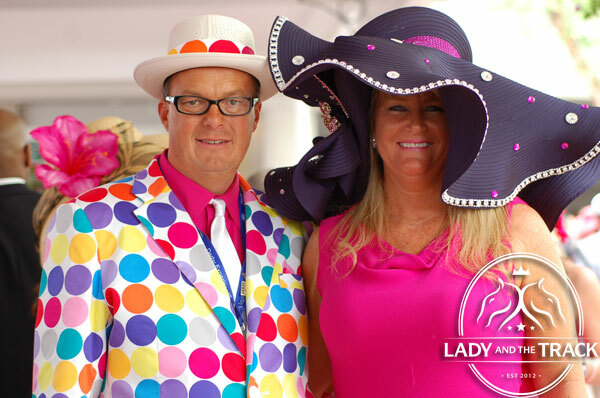 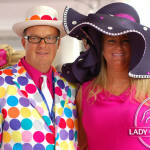 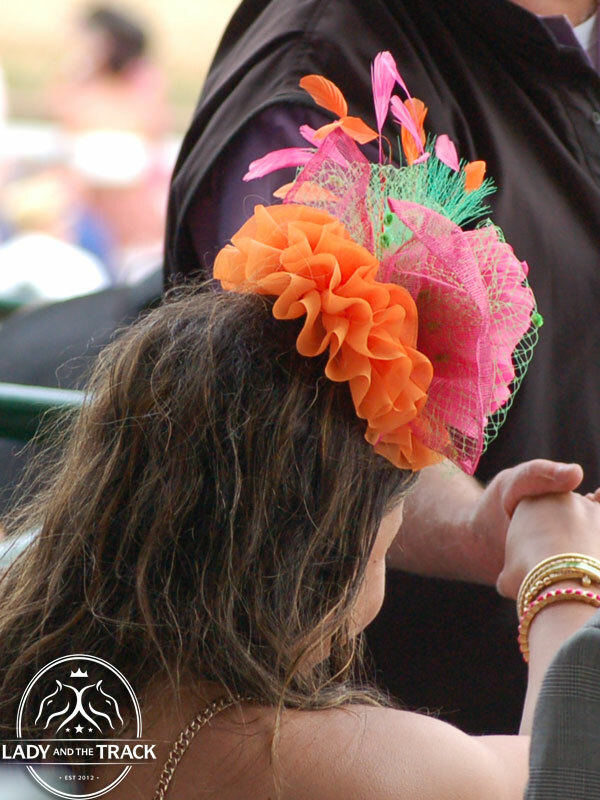 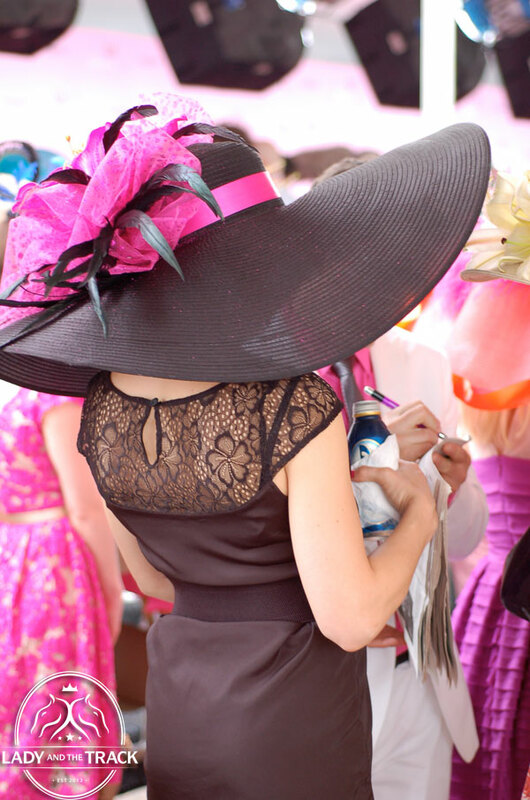 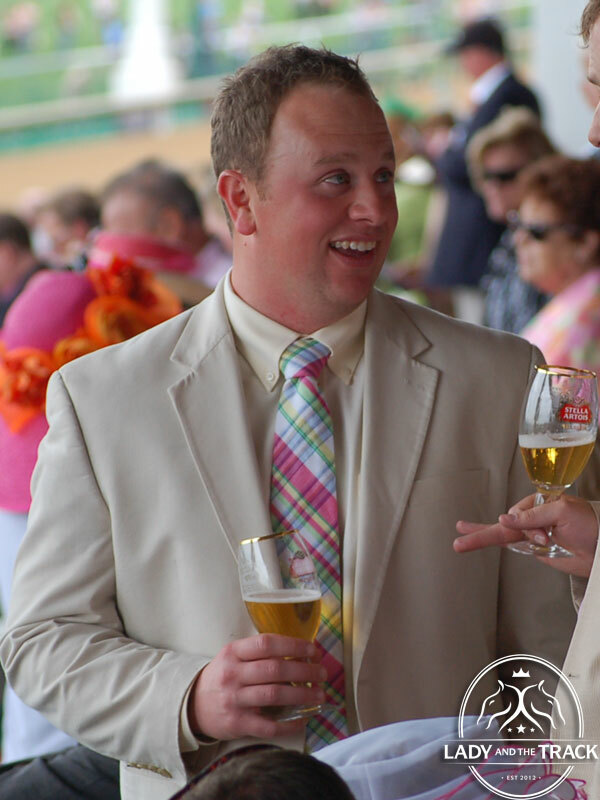 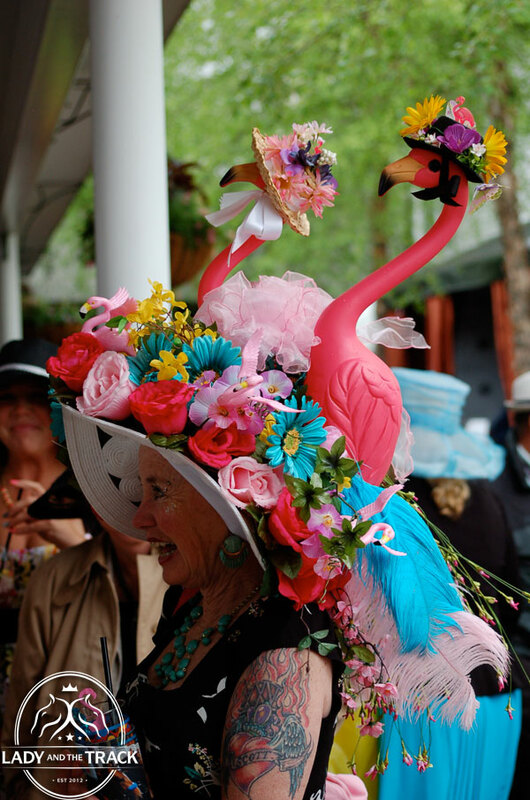 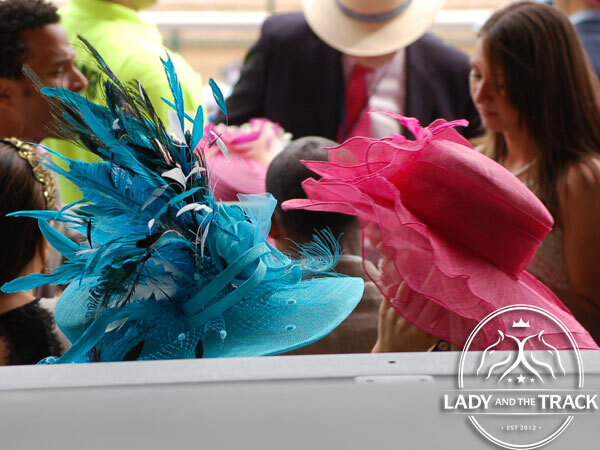 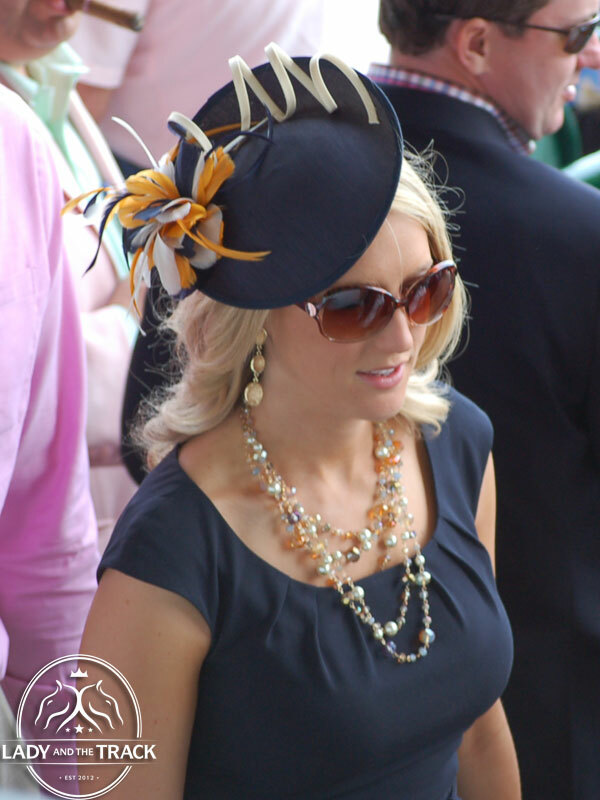 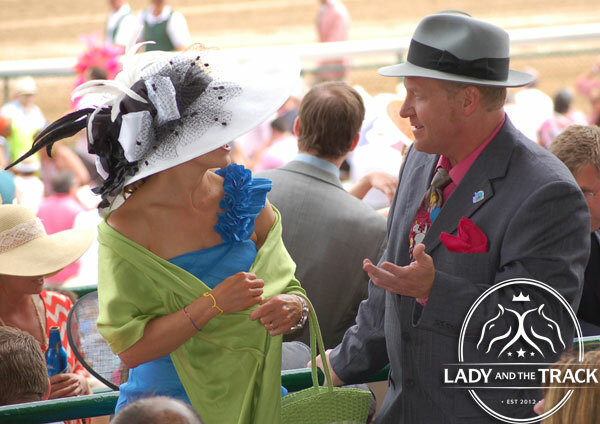 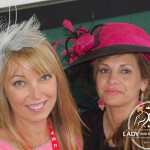 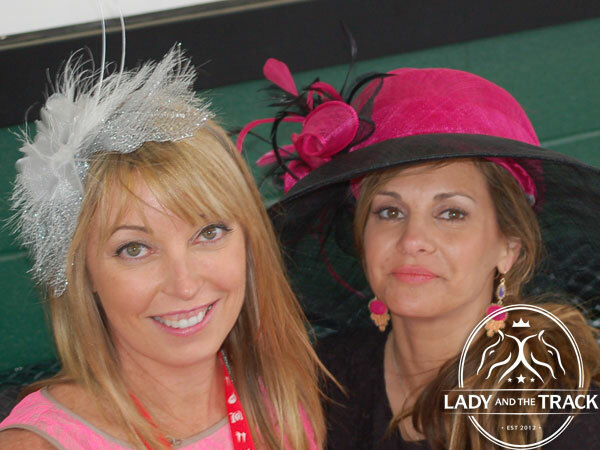 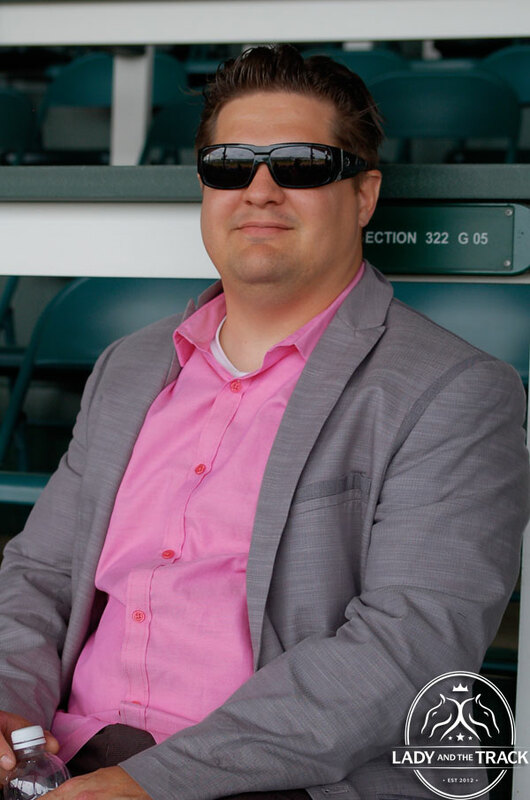 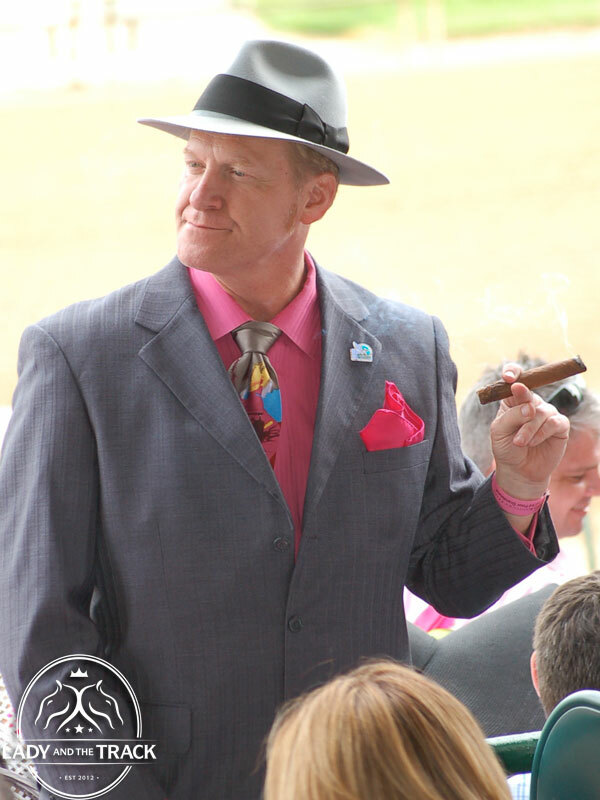 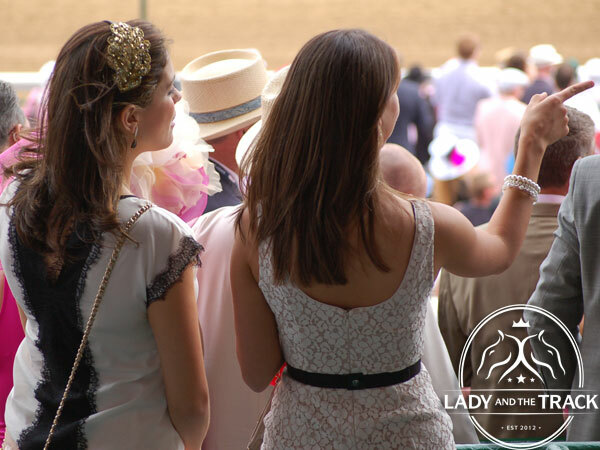 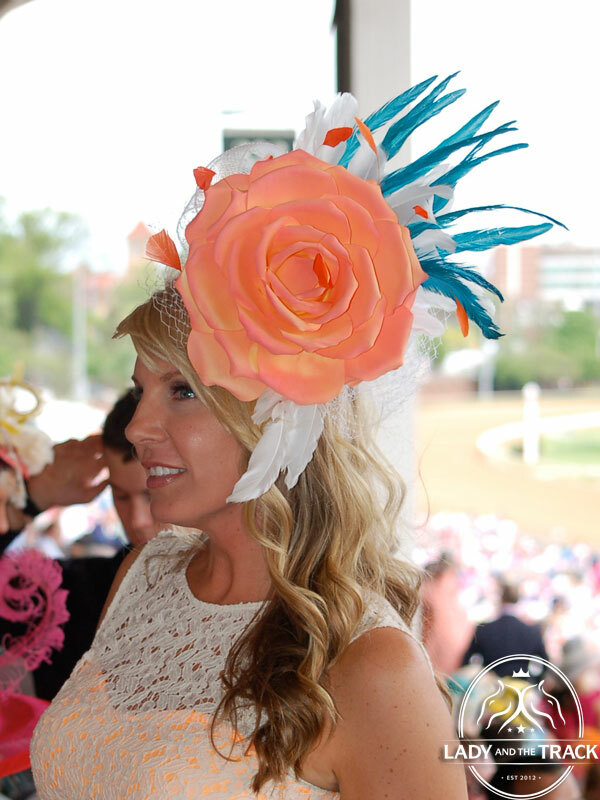 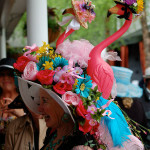 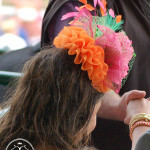 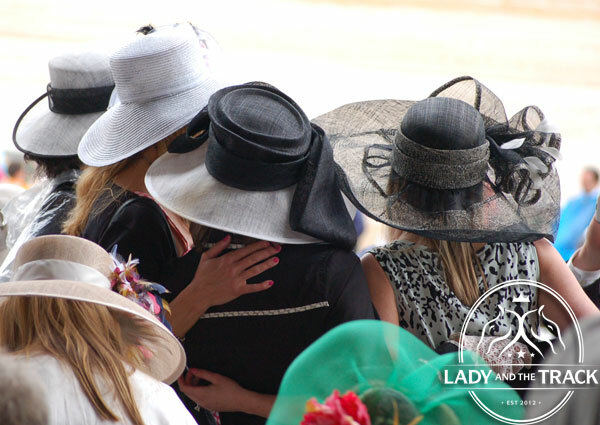 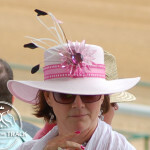 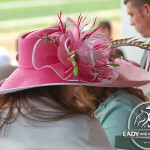 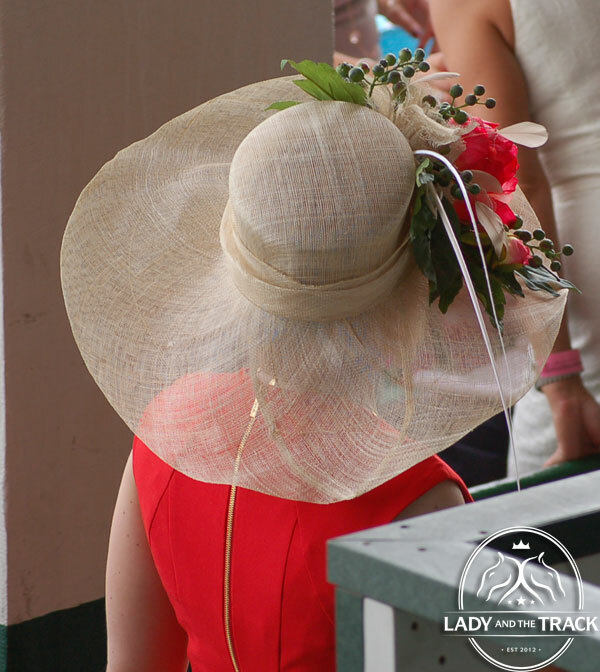 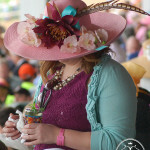 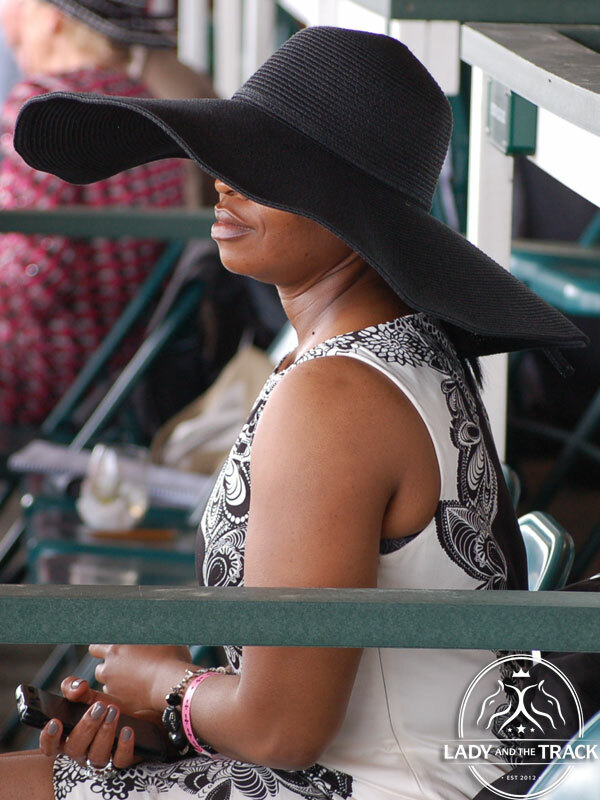 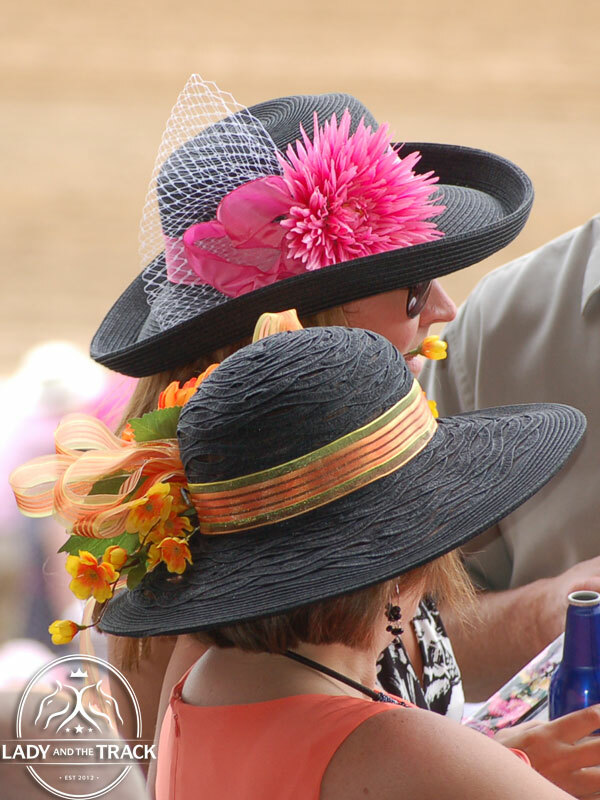 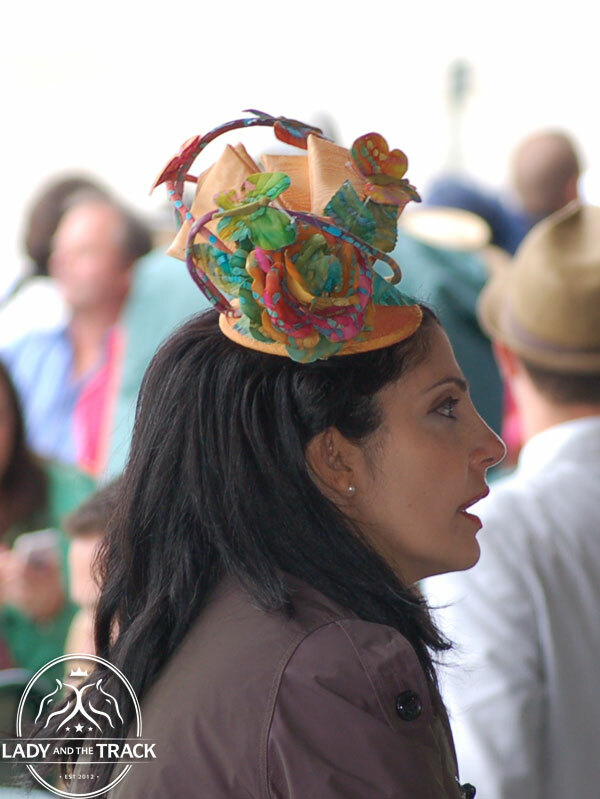 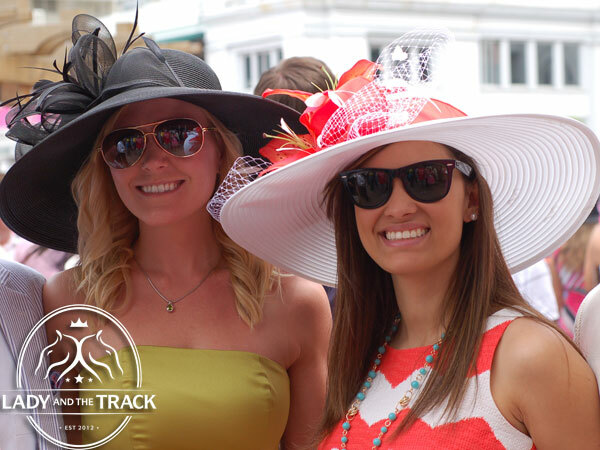 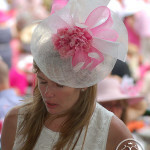 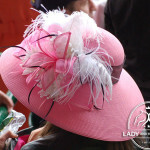 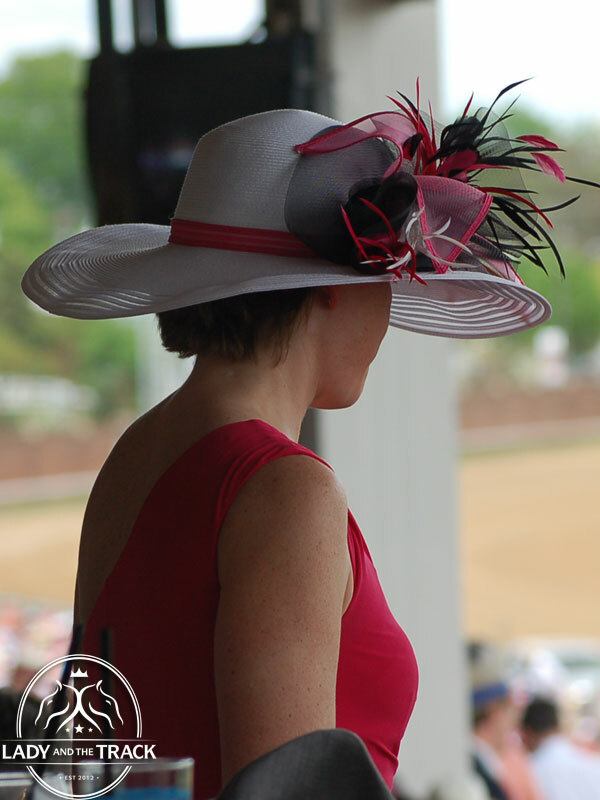 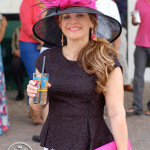 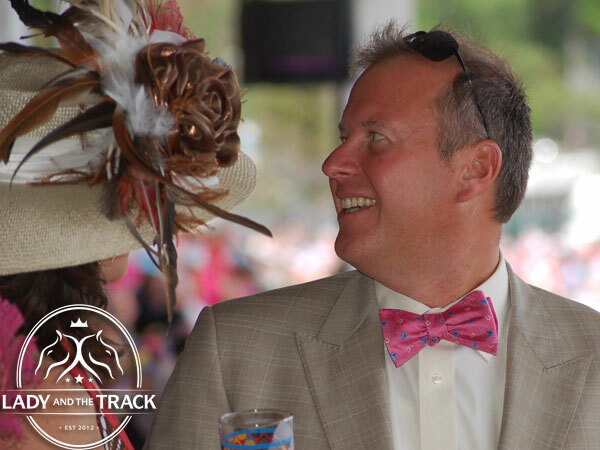 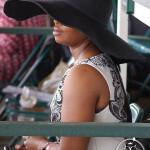 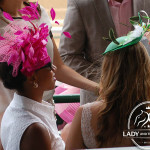 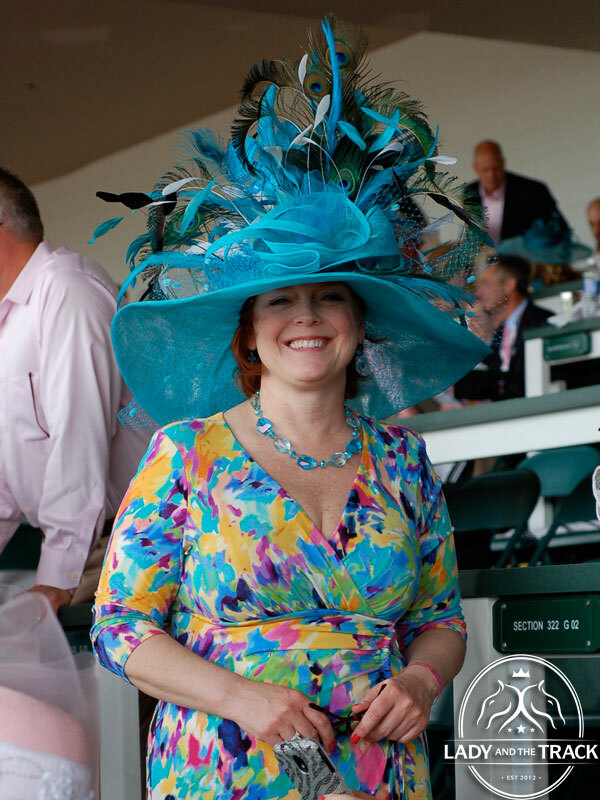 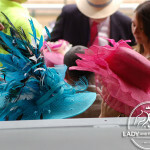 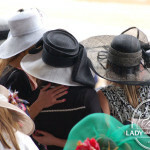 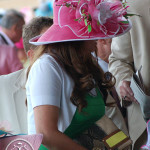 The 2013 Kentucky Oaks was truly all about women and fashion! 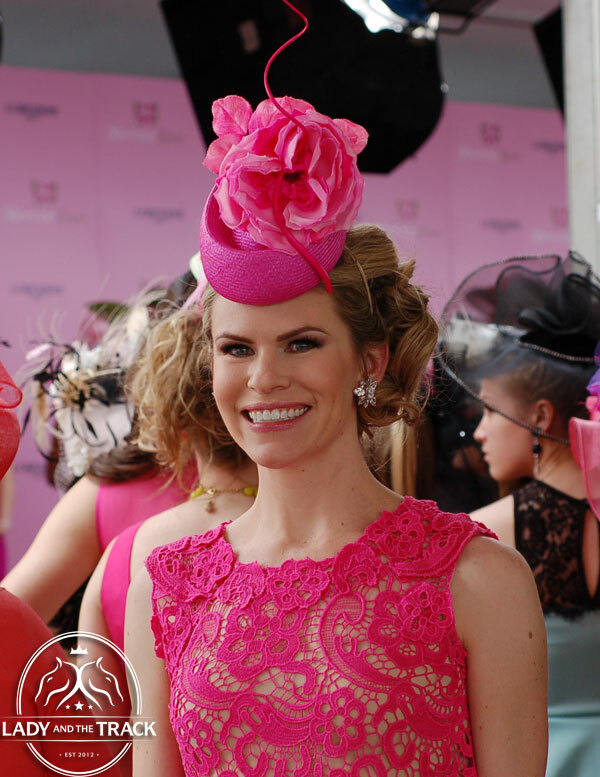 Supermodel Coco Rocha and Longines Ambassador of Elegance and tennis legend Stefanie Graf served as judges at the Longines Kentucky Oaks Fashion Contest at Churchill Downs on May 3, 2013 in Louisville, Kentucky (winner shown to the right). 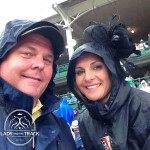 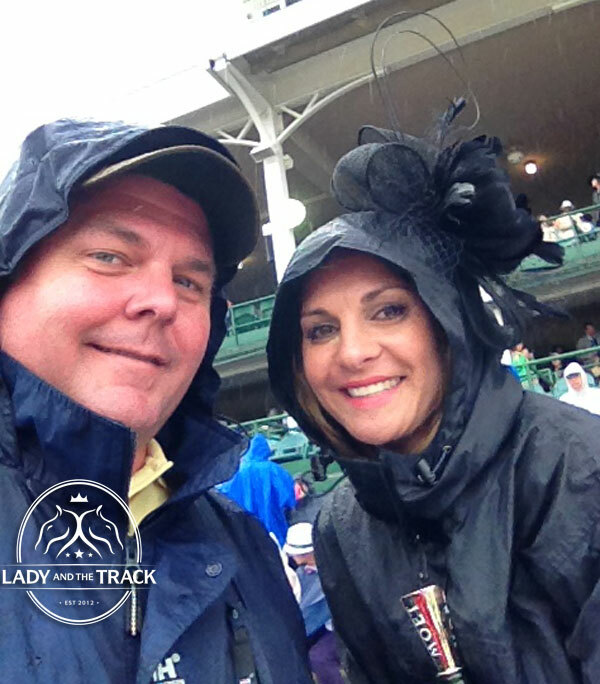 The weather during the 2013 Kentucky Derby was stormy, cold, and wet. 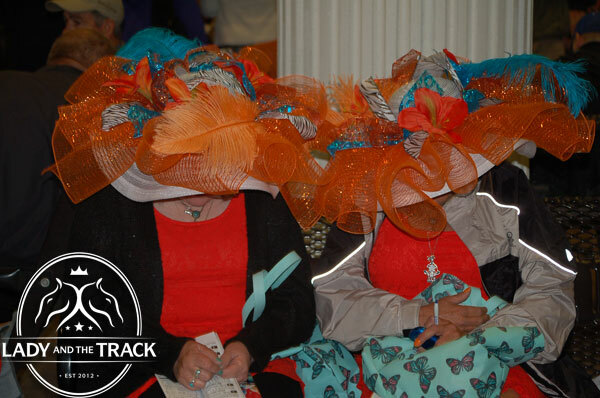 We are proud to report that despite the weather, women dressed gorgeously and even wore hats and fascinators on top of their hooded raincoats! 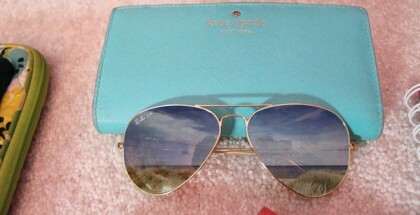 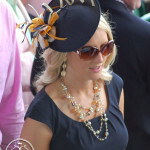 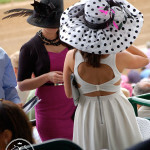 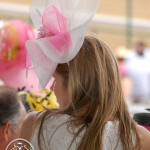 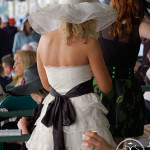 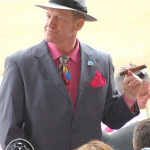 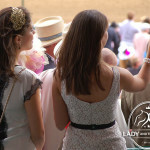 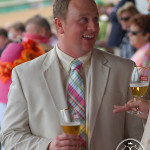 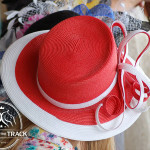 If the photos below inspire you, be sure to check out FashionattheRaces.com for everything you need to stay in style at the track. 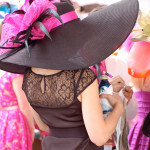 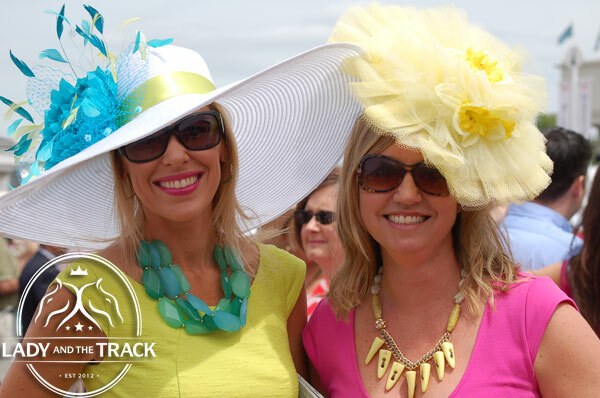 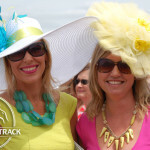 Fashion at the Races is offering a discount if you shop now! 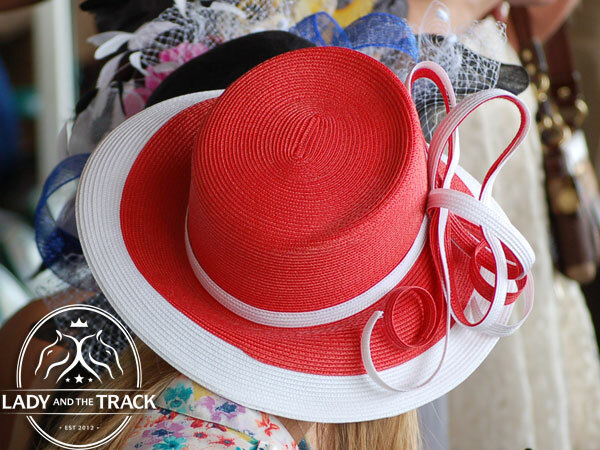 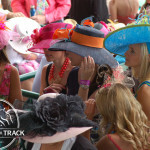 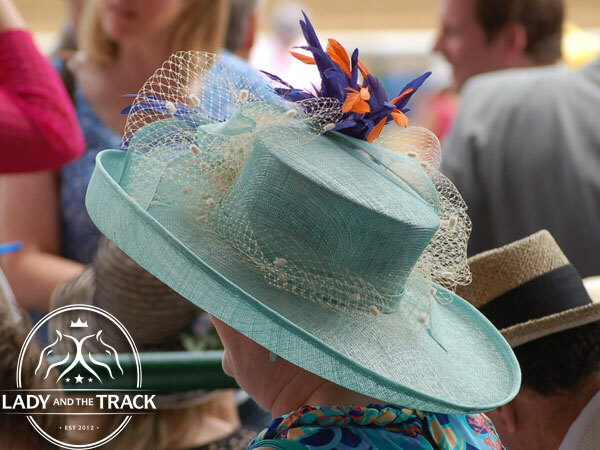 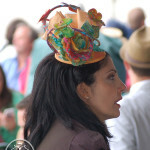 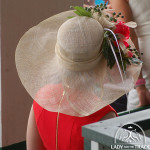 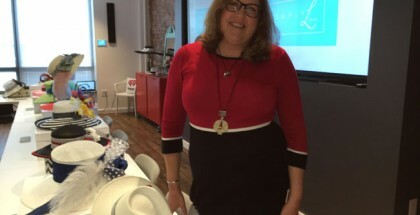 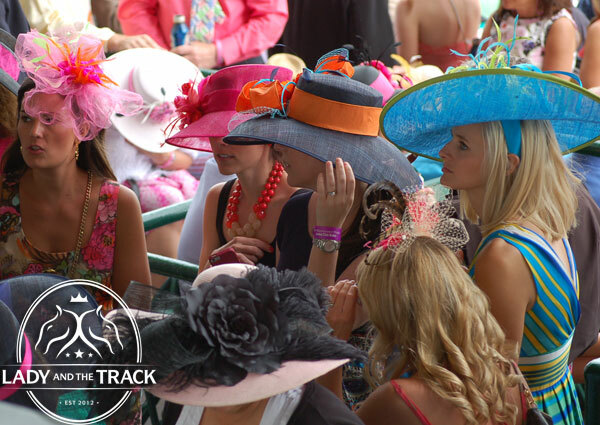 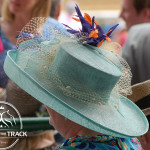 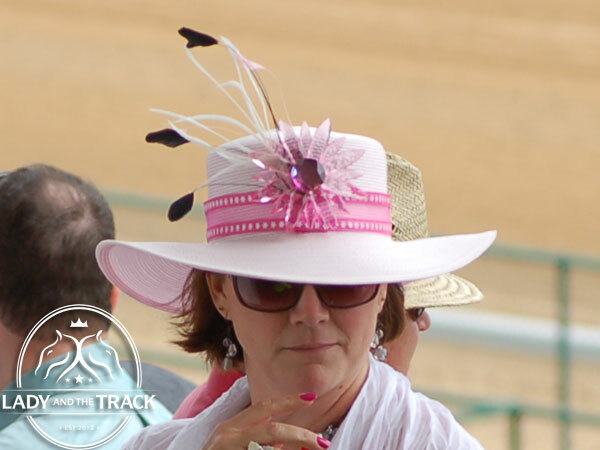 The Lady and The Track team always shops the Fashion at the Races online store for all of our millinery needs!